Abuja – The Special Presidential Panel for the Recovery of Public Property is to recover the seven billion dollars bailout fund granted commercial banks between 2006 and 2008. The panel Chairman, Mr Okoi Obono-Obla, said in Abuja on Friday that the banks had yet to refund the money over a decade after. Obono-Obla said that the bailout fund was not a gift to the commercial banks and so must be recovered and returned to government’s coffers. “We are currently doing a lot of investigations to recover monies that have been taken away from the people of Nigeria. “One of them is the almost seven billion dollars bailout fund that the Central Bank of Nigeria granted commercial banks in 2006, 2007 and 2008. “After 13 years or so, these commercial banks have not returned that money to the coffers of the Federal Government of Nigeria. “When we enquired from the CBN the status of that money, the banks told us that the money was ‘dashed’ (given free) to the commercial banks,’’ he said. The panel chairman said that the money belonged to the people of Nigeria and so could not be given away like that to commercial banks owned by private individuals. He pledged the panel’s determination to recover the money and return it to the Federal Government. 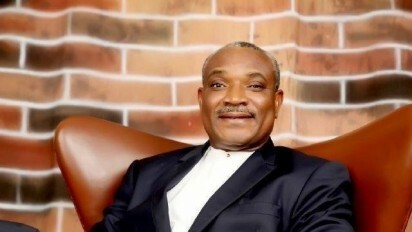 Obono-Obla said the panel was also in the process of recovering a large piece of land belonging to a parastatal agency under the Federal Ministry of Agriculture and Rural Development. “That land was encroached upon, parcelled out and sold by unpatriotic people. `I can assure you that we are going to recover it and prosecute all those who are responsible. “We are also investigating and in the process of recovering a lot of landed property belongìng to the Nigerian Ports Authority (NPA) in Calabar, Warri, Koko, Sapele and Lagos ports. “We are equally doing recoveries for the Federal Mortgage Bank of Nigeria, and other federal government agencies, across the country,’’ the panel chairman said.